The American Association of State Highway and Transportation Officials made two key leadership appointments, naming Jim Tymon as executive director and appointing Carlos Braceras to serve as president. 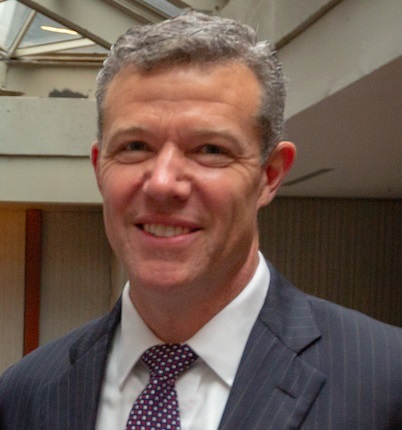 Jim Tymon will succeed Frederick Wright as AASHTO executive director. After a multi-month search, the AASHTO board of directors selected Tymon to become the sixth executive director for the group. Tymon is currently AASHTO’s chief operating officer and director of policy and management. He will assume his new role when current executive director Frederick Wright retires on Dec. 31. Tymon previously served as staff director of the Highways and Transit Subcommittee of the U.S. House of Representatives Transportation and Infrastructure Committee and as senior advisor to Chairman Bill Shuster. Prior to joining the House Transportation and Infrastructure Committee, Tymon spent three years with the Office of Management and Budget, where he worked as the program examiner responsible for overseeing the Federal Highway Administration and the Federal Motor Carrier Safety Administration. “This is an incredible opportunity to lead an organization that has been at the forefront of transportation in America for more than a hundred years,” said Tymon. “Under Bud’s leadership, AASHTO has adopted a strategic plan that has positioned us to work smarter and be more nimble as we respond to changes and meet the needs of our members. The company also chose its new president, Carlos Braceras, who previously served as vice president and secretary treasurer. Missouri Department of Transportation director Patrick McKenna will serve as AASHTO vice president. As president, Braceras will focus on three emphasis areas: workforce development, funding, and policy reform, all while “communicating transportation’s vital role” in American life. Braceras is the executive director of the Utah Department of Transportation and has over 30 years of experience at UDOT, starting there in 1986. Newly-elected AASHTO vice president McKenna has served as director of the Missouri Department of Transportation since December of 2015. He previously was the deputy commissioner of the New Hampshire Department of Transportation.